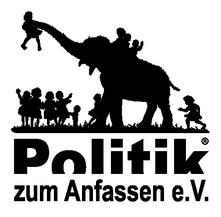 The association Politik zum Anfassen e.V. motivates young adults for democracy. We are the event agency for knowledge and great experiences with democracy: With fictional parliaments, films, polls, interactive exhibitions and more we are creating a fun approach for teenagers. Our young team gives them the opportunity of participating in areas where participation is not natural for everyone: education, culture, music, urban development and more. 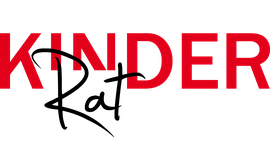 A warm welcome to the website of the independent, non-partisan and charitable organization Politik zum Anfassen e.V. Since 2006 our organization is motivating young people for democracy and encourages them to participate. We are the event agency for political education and spread our knowledge. A teacher once wrote this to us while he was trying to excite his students for municipal politics without any success. How do politics work? Why are politicians acting the way they are? Wouldn’t it work another way? Who is responsible for politics happening outside my door? House of representatives, Parliament- is there more? That’s how our films are made. Students plan, film and edit them themselves. Projects with over 100 students whose ideas are being realized. Polls who support city administration on how to handle offers. Days dedicated to democracy during which the youth fire department and representative students from primary schools get to experience how effective democracy really is. The association organises political education for students to enjoy. To have it stay that way we have a young team working closely with students: six project managers, three trainees, three FSJler and seven BFDler (volunteers) and on top of that interns from all over the world. All of them want to work creatively and closely with students to learn how to execute political education effectively. We work with all types of schools: Projects with special schools where students have the opportunity to discuss ideas for their commune with real politicians. Or with students from advanced levels who poll first time voters in the city at midnight. The organization is sponsored project by project by new partners each time: foundations, cities, local communities and many more. The association is registered in the club register at the District Court of Hannover under 200166. We don’t like ordinary projects. Our team specially invents, organizes and accompanies every self-made project. Our young yet experienced team engages in every single project fully. Quality is the most important aspect for us: only if we are able to say: “I would haved loved such a project during my time at school” we are satisfied. Because we are so active and travel a lot we are not able to keep this list updated. 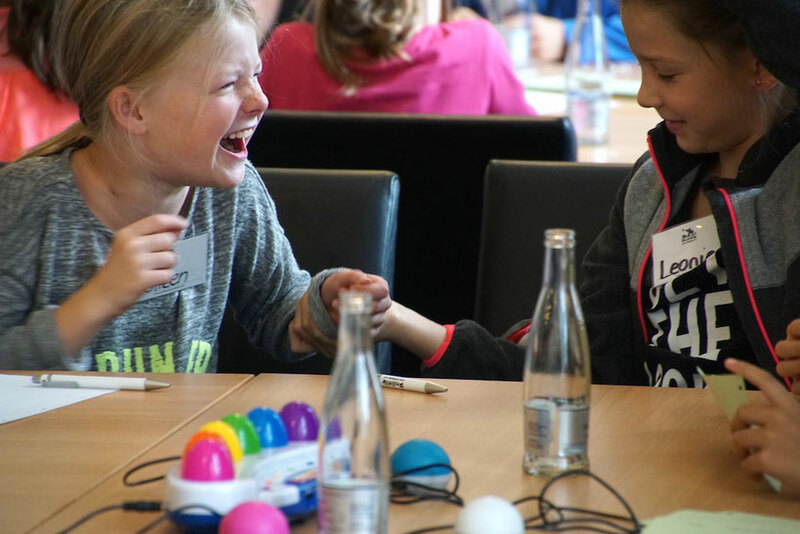 If you are reading this we have already done many more projects with more schools at more locations all over Germany. But this list still gives a good overview on how Politik zum Anfassen e.V. 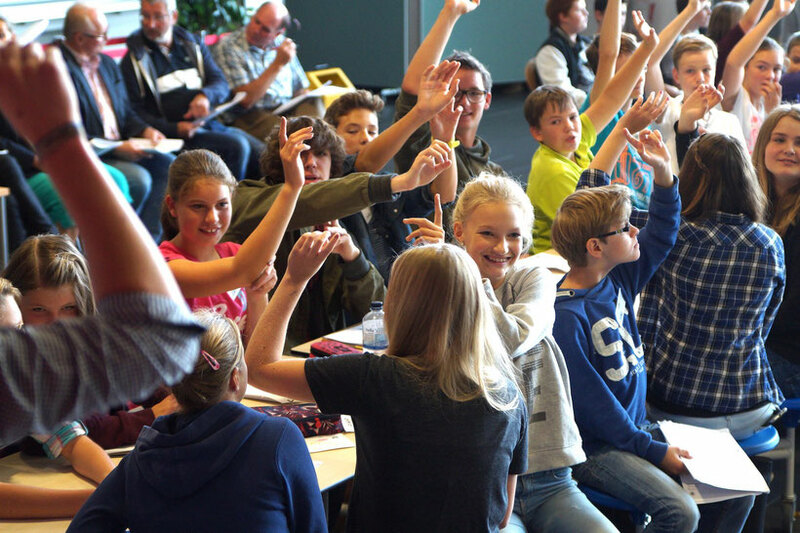 motivates teenagers to participate in politics and expands their knowledge of democracy. And as you can see we have realized all our projects with different sorts of school types. What do indoor playgrounds, advertisements for sports clubs and the voluntary firefighters for parents of migrants, talking bins, and electric car as the official major’s vehicle and trampoline in the Baltic Sea have in common? These are all ideas from students, trying to improve their commune, which have been implemented. Four classes take part in our project: for three days more than 100 students take over city hall. The students also produce a film and magazine about the project. “Real” council members help them with the proposals which will be discussed in the “real” council later. 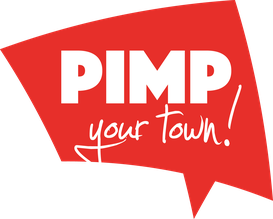 Use our award-winning project “Pimp Your Town!” as an up-to-date tool to motivate young adults to participate in politics. Action-oriented and focused, with amazing results and the experience of an exciting political event. Motivating for teenagers. Thrilling for politics. Refreshing for the administration. New opportunities for teachers. Through Pimp Your Town! thousands of students already experienced how exciting and effective local democracy can be. They help to make their commune more livable. You carry out a strong and functioning model which motivates teenagers to participate in politics. You get fresh ideas from teenagers who don’t want to be part of a long-term youth parliament. With this political event local politics will be the focus of families and the public. Suddenly you have 100 students with knowledge about local politics who are keen on participating. You support the youth parliament, in case there is one. If you wish we could include up to 36 classes in one project or introduce an online tool for youth participation. We design projects like this and many others e.g. polls or films for communes small and large all over germany. Just have a look around our website! With your help our team of experienced project managers and young volunteers is looking forward to motivate young adults to improve their commune by participating in local politics. We will design an effective project for you as well. Send us an email at politik@zumanfassen.de , or simply call us (+49) 511 - 37 35 36 30. Sidewalks made of rubber. More markets. German lessons for refugees. More speed cameras and speed humps on the streets. A day off at work for parents. Talking and glowing bins. Kids who teach their teachers twice a week. Mini-Zoos in residential areas. A bar in the classroom. Only electric cars allowed in the city. Where should children be included? Where can primary school students have a say? Even children have specific expectations for their city. 8 year olds are able to discuss topics like integration and refugees, urban development and mobility and are able to develop their own ideas. Up to 60 first and third graders from up to 20 schools form the youngest council of their commune. They receive a fun introduction into local politics, together they come up with ideas on how to improve their city or commune. They write proposals for topics like mobility, housing, refugees, building and traffic. During a fictional parliament lead by the actual head of council they discuss and vote on the proposals. The accompanying teachers form a Network during a parallel happening event. They exchange ideas about current challenges in school life. 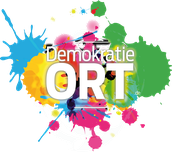 During our project “Kinderrat” students get to experience how exciting and effective local democracy can be. They help to make their commune more livable. The parliamentary procedure is perfect for participation: It does not matter how fast or slow or how smart one is: Everyone’s ideas are heard, everyone has got the ideas in front of them, are able to commentate on them, everyone has to listen and in the end everyone gets one vote. That’s how we even motivate the youngest for democracy and show them how effective parliamentary procedures are. One morning packed with fun! During the project “Faktenwerkstatt” by Politik zum Anfassen e.V. students learn learn how to handle and evaluate news on the internet. 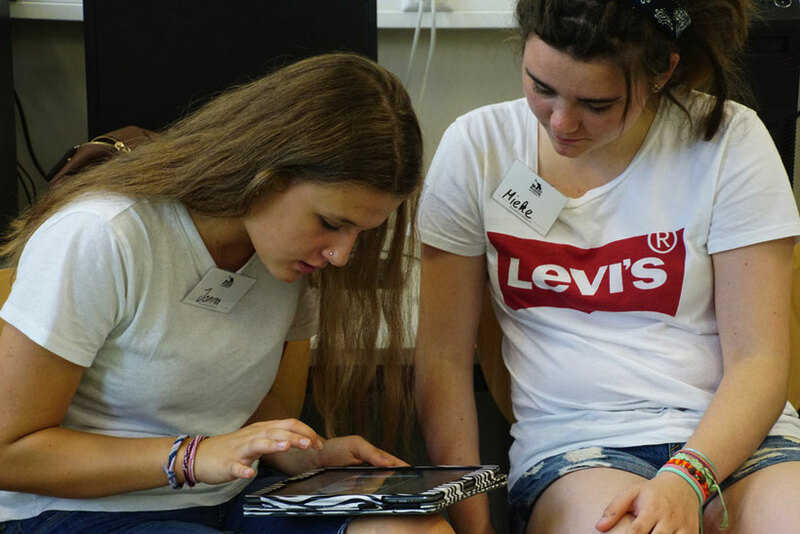 For two days young adults get to see the different sides of journalism and learn about research: checking facts, reporting themselves, or creating fake images and producing their own news. The participants learn how to make news films with the iPad and how to differentiate between good and questionable sources. This program shows teenagers how news emerge also teaching them to question everything they hear and see on TV. Sound, expanding their competences with a lot of fun. Handling news competently in the age of fake news. The whole school profits from this project. Faktenwerkstatt shows students how they as readers can produce their own formats and offers them contact to journalists. Most teenagers use Facebook, Instagram or Snapchat as their news source. Due to the autoplay function most news videos are being seen without sound and have to be understandable even when they are muted. Services like “NowThis” have started to process messages to make them understandable even when they are extremely short and only show little text. For teenagers the use of media comes natural but they lack the competences to tell apart real information from opinions and wrong claims or to distinguish between professional journalism and questionable sources. If schools touch on this topic most of the time old analogous media is in focus. But today most of the students read news on the internet especially on social media platforms. If you believe everything you read on there and treat every source the same way and don’t have a tool to question messages or to make a source check, if you don’t know how journalists work and what value different news have you have truly arrived in the age of fake news. We think that teaching students how to handle news with care is currently the most important aspect in political education. Through “Faktenwerkstatt” teenagers have a tool to escape fake news and are able to look at reality. And what’s the meaning behind our logo? In an old indian parable a wise king wants to settle war between his people. Seven blind monks are asked to describe what an elephant looks like. One touches the ear and says: “like a wilts leave”. Another one the trunk: “like a fat snake”. Another monk examines the leg: “An elephant looks like a tree” he says. “Every single one of you is right” the king explains. Everyone has got a different perception and comes to their own conclusion. Everyone has got their own truth and neither is right or wrong. It’s the same with politics, which we want to bring closer to people: everyone pays their own valuable part, which will only then become one when you are open-minded towards other views. And: every person should participate even if they yet can’t grasp the whole thing.